DIN Standards are invented for a variety of components including industrial fasteners as DIN 6922 Hexagon Flange Bolts with Reduced Shank. 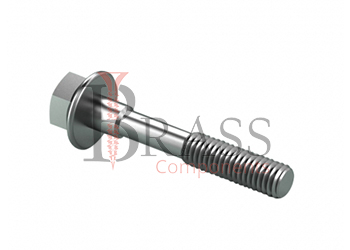 DIN 6922 Hex Flange Bolts are manufactured from Steel with zinc coating, Stainless Steel A2, Stainless Steel A4, Galvanized Steel, Chromated steel. DIN 6922 Bolts are available in a wide range of sizes, shapes and materials. DIN 6922 Bolt with Hexagon Head with a Flange, Adapter Shank, Replacing Washer, transition end and high strength. DIN 6922 is a cylindrical rod of non-uniform diameter. The Bolt can available with Flat Flange or a Flange with locking teeth. Strength Class 8.8, 10.9 and 12.9. Complies with ISO 4162 and ISO 8104. The press washer increases the area of the bolt and support part. Apply a Greater pulling force when connecting with conventional bolts. Used together with nuts and washers for connecting, fastening or fixing parts and construction. 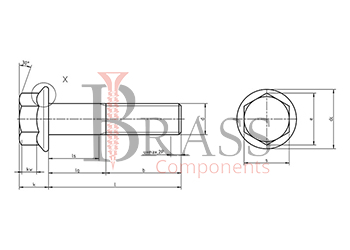 Used for mounting, joining, fixing and fastening structural elements and equipment together with nuts of the same strength class and corresponding thread size. Widely used in the conditions of high loads including vibration. For fixing of suspension elements, joining elements of metal structures. For work in conditions of high humidity and for aggressive environments. We manufacture DIN 6922 Bolts as per Custom Specification and export in France, Italy, Switzerland, Poland, Greece, UK and other European Countries. For more Information, Please Contact Us or Inquiry Now.